House Speaker Gloria Macapagal-Arroyo refuses to issue a statement on the conviction of her colleague in Congress, Ilocos Norte Congresswoman and former First Lady Imelda Marcos, for graft. “I have no comment to make,” Arroyo, a former president who is currently Pampanga 2nd District Representative, told reporters Tuesday. 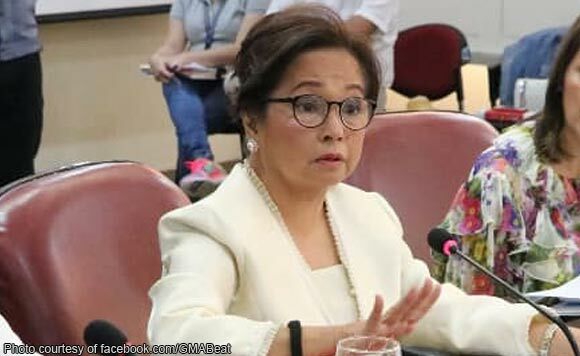 The lady politiko was reportedly in the company of Marcos at a party last Friday evening, the same day the Sandiganbayan promulgated its decision, declaring the latter guilty for seven counts of graft during the presidency of her late husband, Ferdinand Marcos. The case stemmed from Marcos’ alleged financial interests in Swiss-based foundations in the early part of the 1970s when she was Minister of Human Settlements and an interim member of Congress. Marcos, 89, and already in his last term in Congress as Arroyo, was sentenced to imprisonment of six to 11 years for each count, and is perpetually disqualified to hold public office. Her camp said the decision will be appealed.